Introducing the Proenza Schouler Fall/Winter 2018 Bag Collection. The brand’s latest collection features their signature handbags in macramé pattern and woven detailing. These.. Introducing the Fendi Fall/Winter 2018 Bag Collection. Most of these bags were first seen during the brand’s Fall/Winter 2018 runway show. Fendi presents..
For Fall/Winter 2018, Dior has presented the Dioraddict Oblique Flap in new colors. When the Oblique Canvas made its return in 2017 it.. Introducing the Gucci Fall/Winter 2018 Bag Collection. Gucci presents new styles this season including the laminated shoulder bags. These chic bags are made.. Introducing the Chanel Fall/Winter 2018 Act Bag Collection. Chanel’s iconic Boy Bags are back this season in tweed material with pearl embellishments. The.. Introducing the Louis Vuitton Monogram Patches. This special collection has recently been released for Fall/Winter 2018. It features the brand’s handbags and small.. Introducing the Balenciaga Fall/Winter 2018 Bag Collection. The new collection with puppy and kitten prints. The furry animal prints are featured in Shopper.. Updated as of August 2018 Presenting the Dior Fall/Winter 2018 Bag Collection. 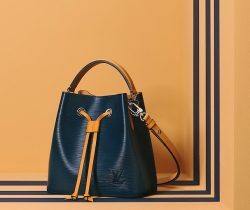 Dior’s new collection features the much awaited return of the Saddle..
Presenting the Louis Vuitton Fall/Winter 2018 Bag Collection. Louis Vuitton introduces their newest print for the season, the Time Trunk pattern. The Time..